This product have been discontinued. The Manfrotto 2915 Super Clamp is made of lightweight cast alloy. 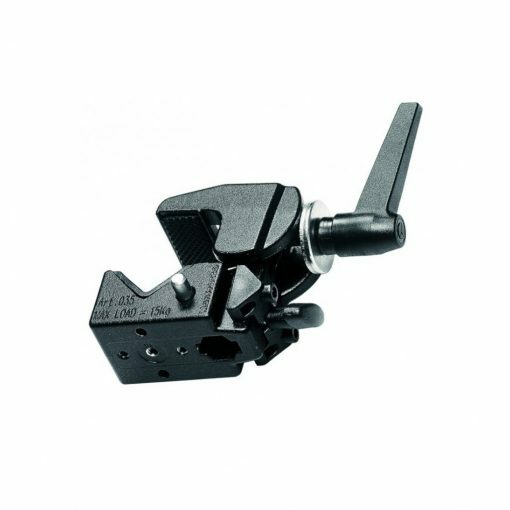 The Super Clamp is a very versatile tool and it holds just about anything: cameras, lights, umbrellas, hooks, shelves, plate glass, cross bars, even other Super Clamps. 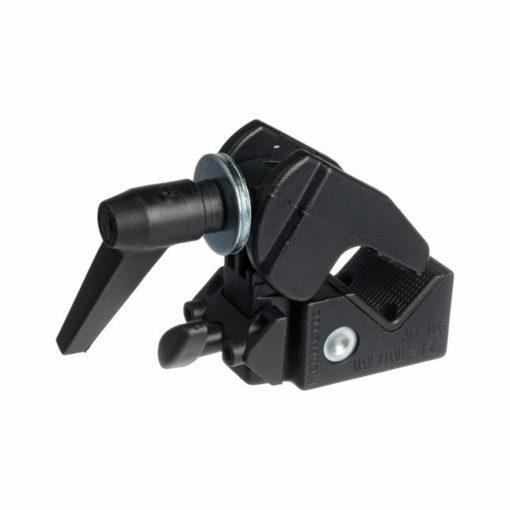 In turn, the Super Clamp can be securely mounted on any tube from 0.5″ to 2.1″. An attached wedge can be removed and placed in the jaw for flat surfaces. A built-in socket allows the use of over 30 attachments to hold anything from backgrounds to lighting fixtures.